DeM Banter: are there other options? 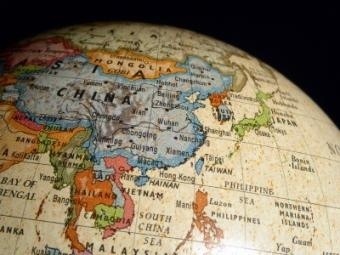 CAMBRIDGE, Mass.–CITING an escalating dispute over islands in the East China Sea, The Economist warned last week that “China and Japan are sliding toward war.” That assessment may be too alarmist, but the tensions have bolstered the efforts of some American analysts who have urged a policy to “contain” China. During a recent visit to China, I was struck by how many Chinese officials believe such a policy is already in place and is the central purpose of President Obama’s “pivot” toward Asia. “The pivot is a very stupid choice,” Jin Canrong, a professor of international relations, declared publicly. “The United States has achieved nothing and only annoyed China. China can’t be contained,” he added. Containment was designed for a different era, and it is not what the United States is, or should be, attempting now. At the start of the cold war, containment meant economic isolation of the Soviets and regional alliances like NATO to deter Moscow’s military expansion. Later, to the chagrin of George F. Kennan, the father of containment, the doctrine led to the “domino effect” theory behind the escalation of the Vietnam War. Cold war containment involved virtually no trade and little social contact. But China now is not what the Soviet Union was then. It is not seeking global hegemony, and the United States not only has an immense trade with China but also huge exchanges of students and tourists. When I worked on the Pentagon’s East Asia strategy in 1994, during the Clinton administration, we rejected the idea of containment for two reasons. If we treated China as an enemy, we were guaranteeing a future enemy. If we treated China as a friend, we kept open the possibility of a more peaceful future. We devised a strategy of “integrate but hedge” — something like Ronald Reagan’s “trust but verify.” America supported China’s membership in the World Trade Organization and accepted Chinese goods and visitors. But a 1996 declaration reaffirmed that the postwar United States-Japan security treaty was the basis for a stable and prosperous East Asia. President Clinton also began to improve relations with India to counterbalance China’s rise. Asia is not a monolith, and its internal balance of power should be the key to our strategy. Japan, India, Vietnam and other countries do not want to be dominated by China, and thus welcome an American presence in the region. Unless China is able to attract allies by successfully developing its “soft power,” the rise in its “hard” military and economic power is likely to frighten its neighbors, who will coalesce to balance its power. But America’s rebalancing toward Asia should not be aggressive. We should heed Mr. Kennan’s warning against overmilitarization and ensure that China doesn’t feel encircled or endangered. The world’s two largest economies have much to gain from cooperation on fighting climate change, pandemics, cyberterrorism and nuclear proliferation. With China becoming more dependent on Middle Eastern energy, we should discuss maritime regulations to ensure free passage of ships and include China in Pacific naval exercises. We should help China develop domestic energy resources like shale gas and encourage China and Japan to revive their 2008 plan for joint undersea gas exploitation. And we should make clear that if China meets certain standards, it can join the negotiations over the Trans-Pacific Partnership, a proposed free-trade agreement around the Pacific Rim. Containment is simply not a relevant policy tool for dealing with a rising China. Power is the ability to obtain the outcomes one wants, and sometimes America’s power is greater when we act with others rather than merely over others.